Will GeoShred be available for Android? How do I get the best performance live? How do I record my performance? Will there be an iPhone version of GeoShred? Does GeoShred Run on the iPad 2? What is the difference between GeoShred and Geo Synth? Will Physical Modeling replace sampling? Will GeoShred replace a guitar? Why does distortion with normal chords sound muddy? GeoShred is a high-performance low-latency musical instrument, and as such, the user experience is sensitive to the screen-to-audio performance of the device. moForte plans to one day offer an Android version of GeoShred. However, at the present time only a few Android devices support low-latency audio. We are working closely with Google on their latest improvements for Android's low-latency audio. Only run apps that you need for your performance. Re-launch GeoShred, and any other app you are using, and do sound check before live performance. GeoShred supports both Audiobus and Inter-App Audio (IAA) which can be used to record directly to DAWs like GarageBand. We also understand that starting with Mac OSX El Capitan, iOS devices can record directly into Logic via a USB cable. Here is a tutorial on how to use Audiobus and IAA to record GeoShred. Yes, As of January 2017 GeoShred supports both the iPad (iPad 2 or better) and the iPhone (iPhone 4s or better). Yes, GeoShred runs on all iPad models except the original iPad, which was discontinued in March of 2011. Specifically, GeoShred runs on the iPad 2 (which was discontinued in March 2014). The iPad 2 is not as powerful as later generation iPads. As such, GeoShred may not be able to run as many effects as a more recent device. GeoShred has a red CPU LED that will light up if the processor is overtaxed. The user may turn off some effects if this situation occurs. All of the presets shipped with GeoShred are designed to run on an iPad 2 or better. 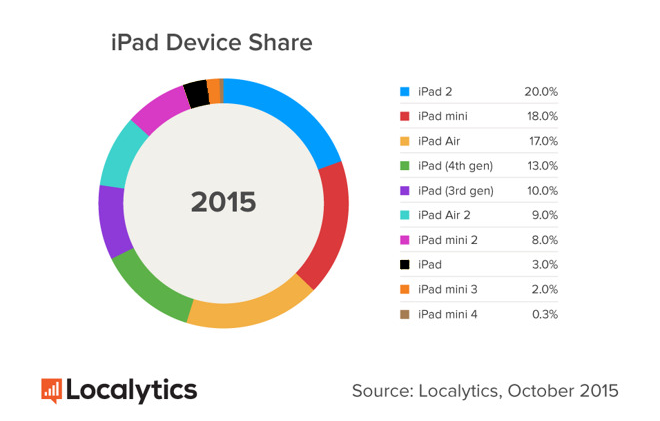 According to Localytics, the iPad devices that are able to run GeoShred, are 97% of iPads in use. GeoShred's synthesis engine is based on advanced Physical Modeling Synthesis. Geo Synthesizer uses a sample based engine. Both instruments have isomorphic keyboards, but the controller facilities are quite different. The GeoShred Keyboard has also been extended to support any tuning. Naw! We love sampling. Sampling is absolutely the appropriate solution for many musical situations. What physical modeling offers are lots of physical parameters that can be controlled with expressive gestures yielding an interactive an expressive performance experience. Nope! We love guitars. We are passionate about the whole stringed instrument family (technically known as chordophones). We own and play many varieties of these instruments. GeoShred makes it possible for musicians (not just guitar players) to experience some of the expressive opportunities that, until recently, have only been available to guitar players. Things like feedback/distortion, power chords, harmonics, string scraping, polyphonic slides and bends. Plus, it goes beyond what a real guitar can do. With the arpeggiator, curves and physical parameters like stiffness, you can create guitar inspired expressive sounds that could not be achieved on a real guitar.